WoSign digital certificate exclusive for mobile internet is brought online-WoSign SSL Certificates! Based on mobile internet features, WoSign keep pace with the world-leading PKI technology and takes the lead to introduce SSL certificate and client certificate that are compatible with mobile internet, applying new international standard encryption algorithm, the Elliptic Curve Crypto algorithm. The key length of it is 512 bits, only one twelfth of RSA algorithm with the same encryption intensity (3072 bits). It supports domestic encryption algorithm SM2 as well, whose key length is also 512 bits. This allows mobile users to get higher security at lower computing power, improving the user experience a lot. 2 types of SSL certificates (ECC SSL certificate, ECC ZhenSSL certificate), which can be applied in data transmission encryption between various mobile websites, APP servers, email servers with mobile users and prevent leakage of confidential information. 2 types of client certificates (ECC unit certificate, ECC free client certificate), which can be used in the strong identity authentication when log onto various mobile CRM, ERP, OA system and replace unsecured mode of inputting account and passwords. 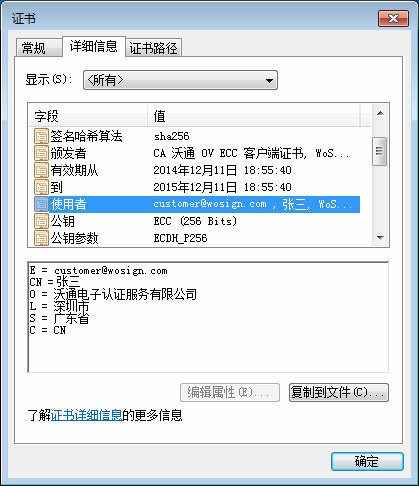 Fast and convenient login, email encryption, signature are realized. It can also be used to sign PDF files online and realize the paperless office. 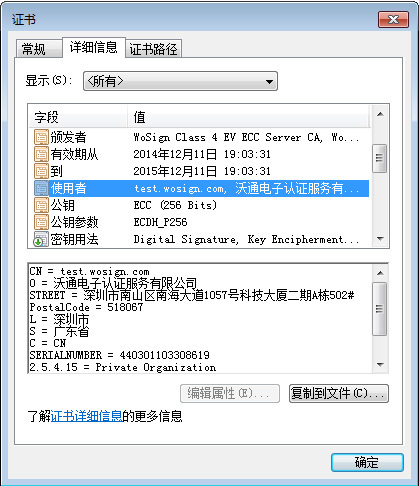 Welcome all the customers to buy and use the certificate at WoSign digital certificate store.